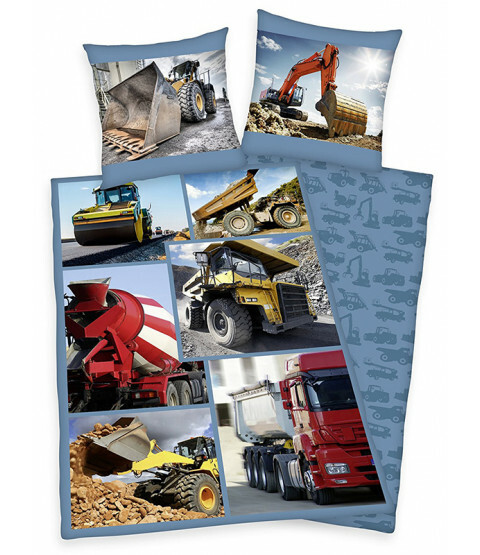 This Trucks and Diggers single reversible duvet cover and pillowcase set is perfect for budding builders! 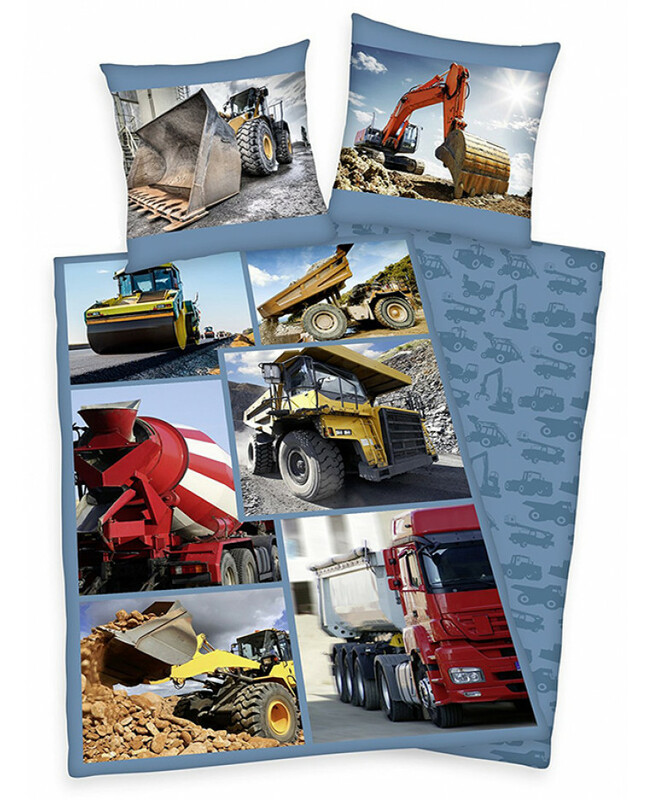 The design features photographic style images of various construction vehicles such as diggers and dumper trucks, with different images on each side of the pillowcase too. The reverse has the vehicles silhouetted in a repeat pattern on a blue background. This bedding set is made from 100% cotton and is suitable for machine washing and tumble drying.